We focus on age-appropriate development. Our flexible schedule program is designed to fit your child's developmental, social, academic, and spiritual needs. We also provide healthy snacks and lunches which meet USDA guidelines that are great for growing bodies. Ensure that your child gets the individualized education they need. Our preschool, infant, nursery, VPK, and after-school programs will prepare your child for a bright future. Get the quality care your children need. 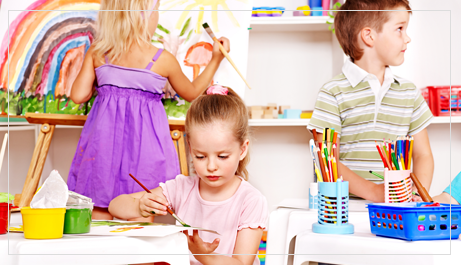 Enroll your child in a preschool and daycare that caters to their unique needs. Established in 1997, Sonrise Academy offers quality education and childcare while maintaining reasonable prices. Based in Cape Coral, Florida, we are proud that 95 percent of our business comes from returning clients and word-of-mouth. We understand the difficulty in finding a suitable trustworthy environment for your child. When your child is enrolled in Sonrise Academy, they are not just students; they are Family! We strive to make both parent and child feel comfortable in a home-like atmosphere where low teacher turnover allows for stability. Family owned and operated with more than 25 years of experience, we offer full-day childcare for infants to preschool-age children. We also provide after-school care for children up to 9 years old. Enrollment for VPK registration will begin in January for the 2017-2018 school year. Space is limited, so contact us today. We are located two blocks north of the only Superstore Walmart in Cape Coral. We are on the corner of SE 14th Street and SE 16th Place.